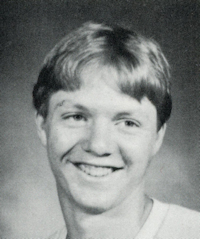 Obituary – LeForce, Clyde James « Perry High School Alumni Association, Inc.
Clyde James LeForce, 49, Perry, Oklahoma was the son of Raymond Douglas Sr. and Jean Kaye Draper LeForce. He was born February 4, 1964 in Perry, Oklahoma and died Monday, July 29, 2013 at Mercy Hospital in Guthrie, Oklahoma. He was a 1982 graduate of Perry High School in Perry, Oklahoma. 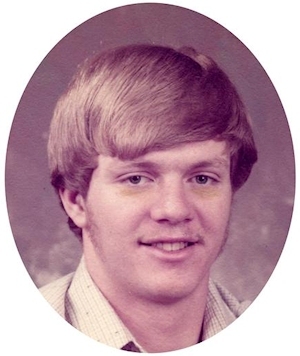 James attended Eastern Oklahoma State University in Ada, Oklahoma from 1983 to 1985. James then served his country in the United States Navy from 1986 to 1991. While in the Navy he served on a submarine during the Gulf War. He enjoyed bowling and loved dogs his favorite was pit bulls, but most of all it was the time he spent with family and friends that he especially loved the most. Memorial services will be 10:00 a.m., Monday, August 5, 2013 at the BrownDugger Funeral Home Chapel in Perry, Oklahoma. Chief Larry Johnson will officiate. Services are under the direction of BrownDugger Funeral Home. Memorials may be made to the American Diabetes Association in care of BrownDugger Funeral Home, 1010 N. 7th Street, Perry, Oklahoma 73077. James is survived by his mother, Jean LeForce of Perry, Oklahoma his father, Raymond LeForce Sr. of Perry, Oklahoma one son, Clyde James LeForce Jr. and his wife, LeAnn of Rowlett, Texas two daughters two grandchildren, Cameron LeForce and Payton LeForce both of Rowlett, Texas paternal grandparents, Clifford and Lila Busse of Perry, Oklahoma one niece, Kayla Shrum of Perry, Oklahoma one greatniece and one greatnephew. He was preceded in death by his brother, Raymond D. LeForce Jr. maternal grandparents, Orville and Pearl Draper three uncles, JD LeForce, Roland Rollie LeForce and JC Davenport paternal great grandparents, Frank and Evelyn Day.